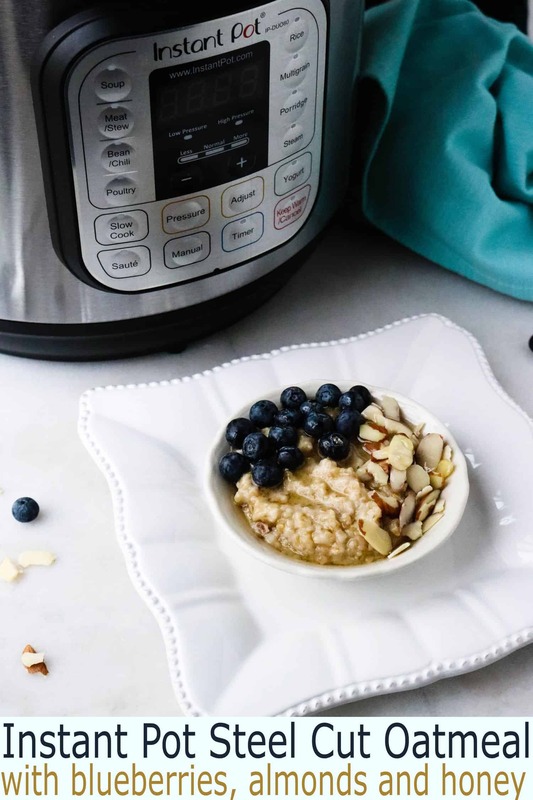 While the Instant Pot makes it easy to prepare all sorts of delicious meals, Instant Pot Oatmeal just might be our very favorite. It is incredibly simple to make, yet packs a big nutritional punch. 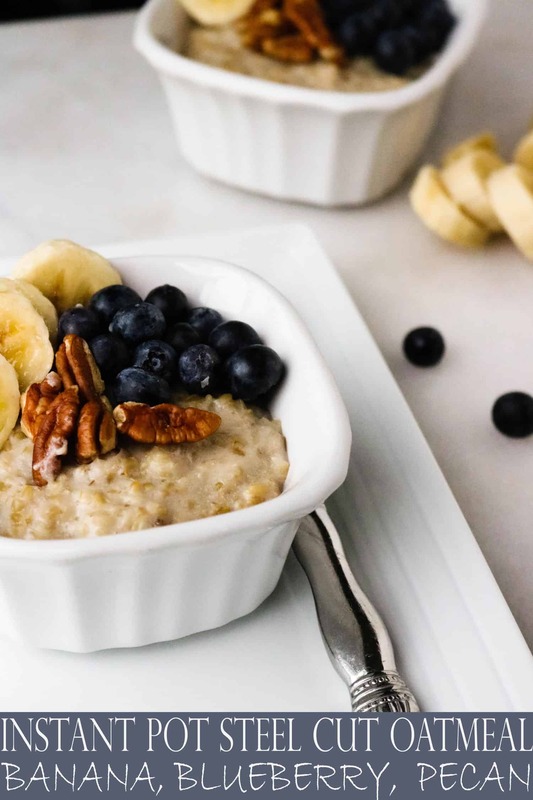 And it’s so versatile; oatmeal is not just a great way to start your day, but also a perfect choice for a hearty lunch, an energizing mid-afternoon snack, or even as a sweet and satisfying dessert. 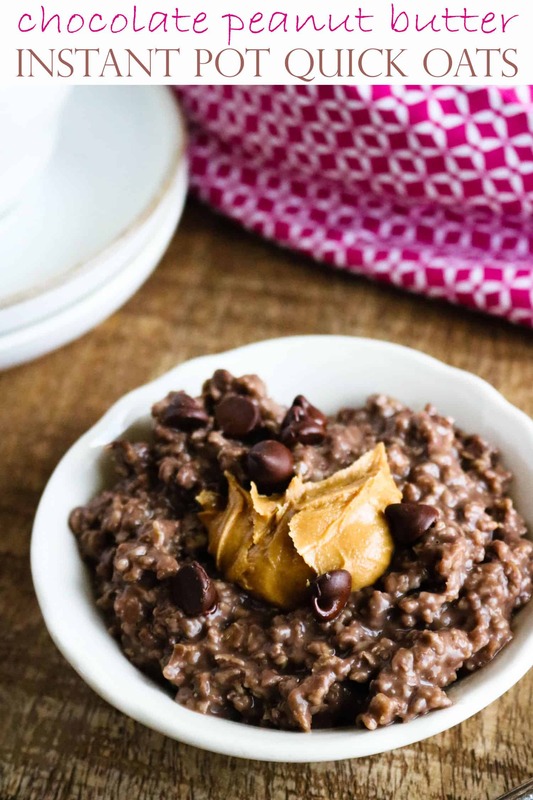 The best thing about Instant Pot oatmeal is the limitless choice of topping combinations. We’ve gathered a list of our favorite recipes, ranging from classic oatmeal pairings, to some more unexpected flavors. With 8 different delectable options, you can try a new one every day of the week! And whether you prefer to make your oatmeal with steel cut oats or quick oats, we’e got you covered with great-tasting recipes for both. 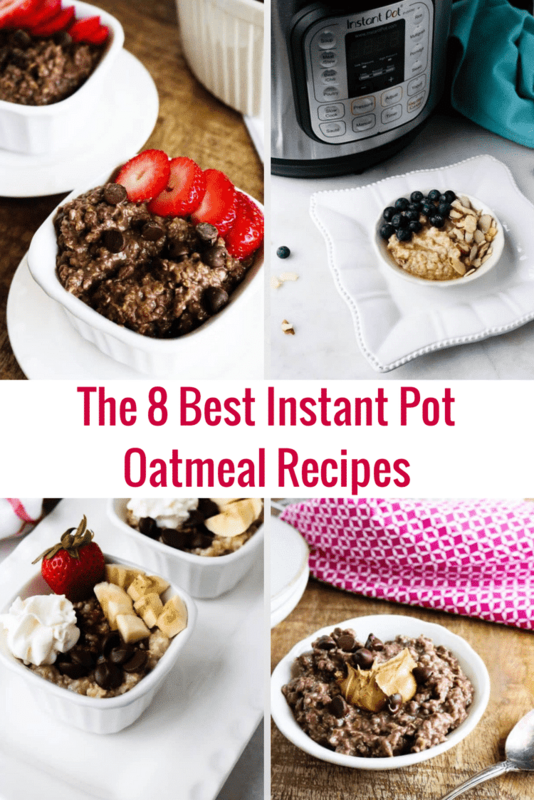 This is a list of 8 Instant Pot Oatmeal Recipes that you’re sure to love. The oat grain, or groat, may be small, but it is a nutritional powerhouse. Quick oats are rich in protein and fiber, and packed with vitamins and minerals. 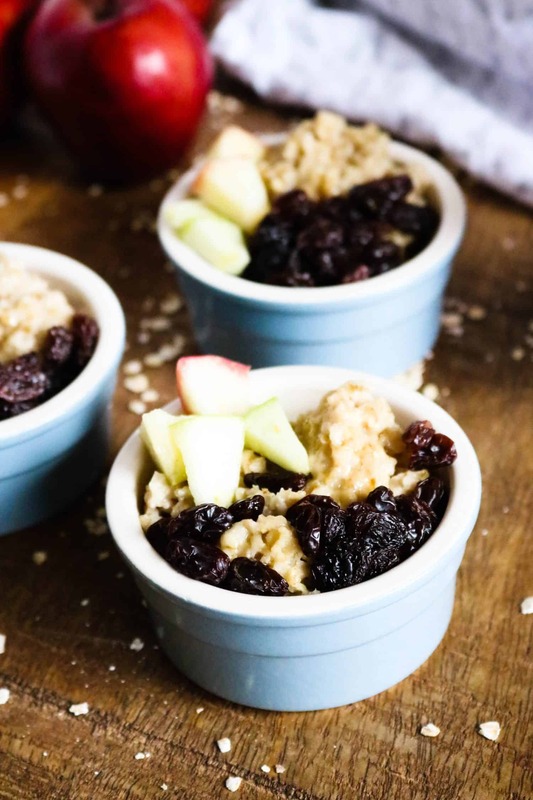 This combination of traditional oatmeal flavors is comforting, satisfying, and delicious. 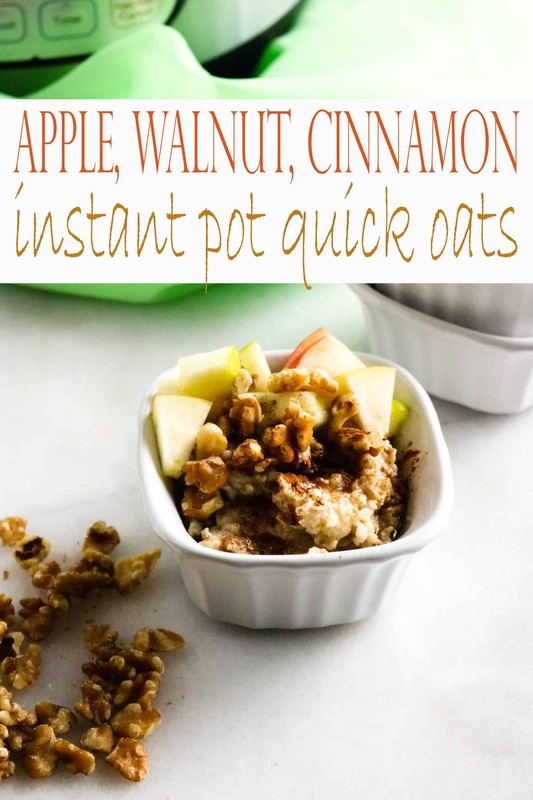 And, this recipe includes a helpful tip for cooking oatmeal in the Instant Pot. The sweet and salty pairing of chocolate and peanut butter is an all-time classic. With this recipe, you can indulge in the flavors of your favorite peanut butter cup candy, without any of the guilt! 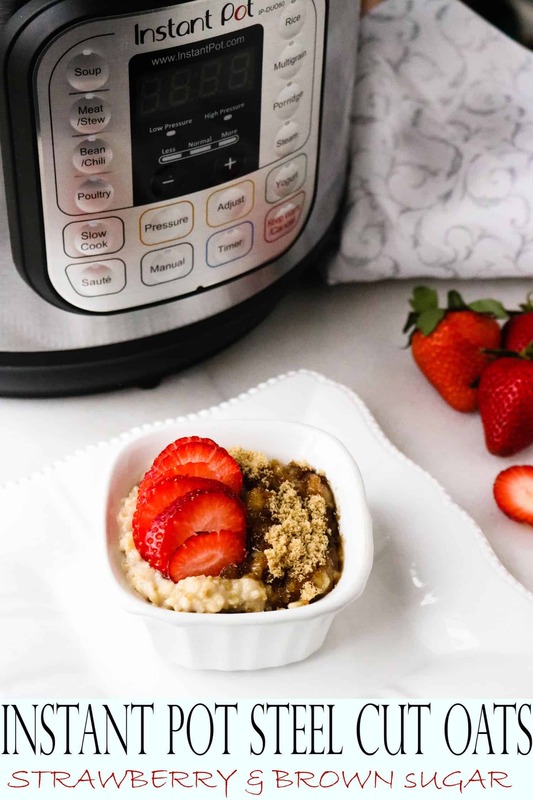 Enjoying the flavors of fall couldn’t be easier — with the Instant Pot, you can enjoy a comforting, warm bowl of oatmeal in just 5 minutes. Chocoholics, Rejoice! 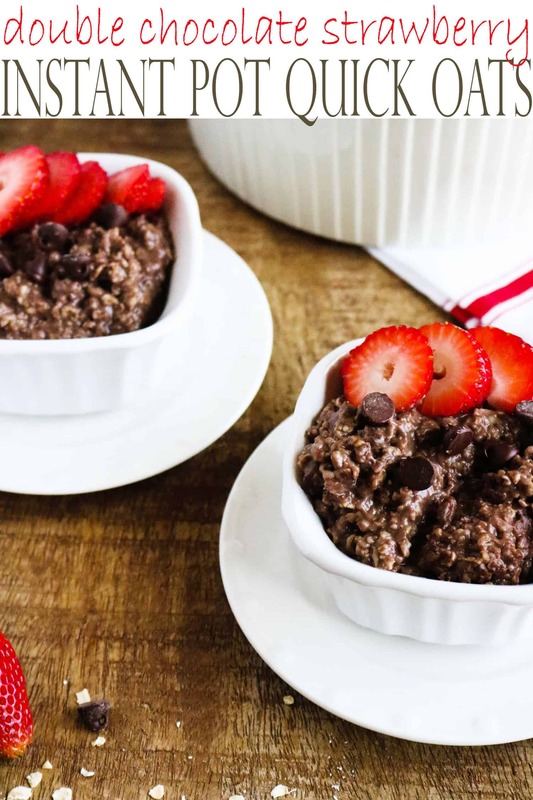 This Instant Pot oatmeal recipe lets you satisfy your chocolate craving while providing many great health benefits. Tastes so decadent. Steel Cut Oats are oat groats that have been cut into two or three pieces by a steel blade. Less processed than quick oats, they have a lower glycemic index (GI) number, which means they are digested more slowly and provide sustained energy. This breakfast of champions is healthy, hearty, and thanks to the Instant Pot, so incredibly easy to make. The delicious combination of strawberries and brown sugar will make you feel like you’re indulging in a relaxing Sunday Brunch, even on a busy weekday morning. Starting your day off right has never been easier, thanks to the dynamic superfoods duo of blueberries and almonds. This recipe also provides a great tip for how to easily clean your Instant Pot inner pot and get it looking like new again. 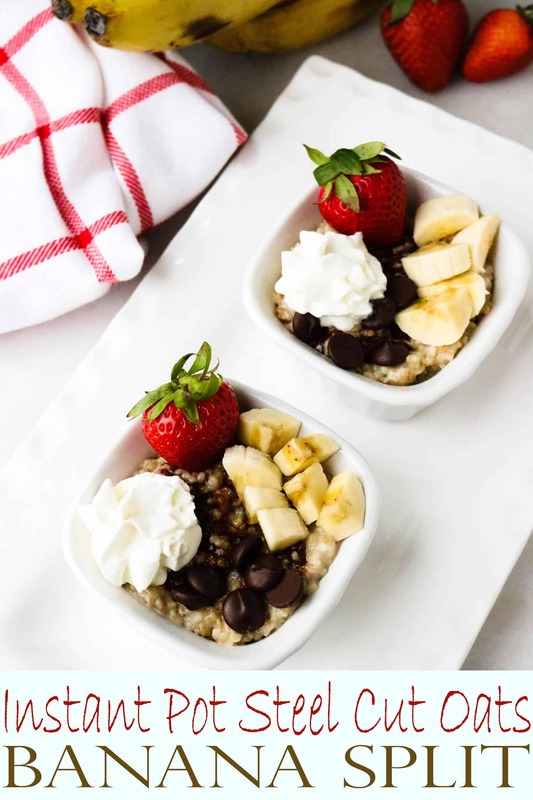 Classic banana split flavors make hearty and healthy steel cut oats feel more like a decadent treat than a good-for-you way to start your day. « Ranch Dip – Easy Homemade Recipe!